typed the final words, “The End.” The manuscript was complete. I did it. I wrote a novel. I should have felt triumphant. After all, I had quit my job a year and a half ago with this very goal in mind. I wanted to be a writer. And writers wrote novels. I even told all my friends I was writing a book. I sent the completed manuscript off to a couple people who offered to be my critique partners. My manuscripts finally returned, marked up with helpful suggestions, which I read through with complete apathy. I knew rewriting was an essential part of the process. I knew many authors could spend as long, if not longer, working on revisions than writing the initial book. I got that. I wasn’t discouraged or overwhelmed. I just didn’t care about the project anymore. I set it aside—hoping I was just burnt out from the month-long push of revisions. But a creeping dread burned through me. I didn’t want to work on the manuscript. Not now. Not later. In fact, the thought of writing fiction no longer interested me. But if I didn’t write novels, like all the other writers I knew, maybe I wasn’t really a writer. I was plunging, head first, into what I would later refer to as my writer’s identity crisis. That was it. I was at a different juncture. Instead of throwing in the writing towel completely, I took two months off from writing to look inward and reexamine my identity and desires. If your writer’s identity is in flux, you may find yourself, as I did, in an undefined transition. It can feel a little unsettling, like being in a creative limbo. But rather than sinking into a writer’s despair, sit back and relax. What you may discover during the transition may lead you to a deeper and more focused place in your writing. Instead of panicking and fighting the transition, I allowed myself two full months to journal and internalize the process. I hid the manuscript and let go of my self-imposed definition of being a writer. I read books again for the sheer joy of it—not just an exercise to see what I could glean from a particular writing style—but because I truly enjoyed the beauty of the words. It helped to look inward and shut out the noise. No matter our journey with writing, it’s sometimes difficult to shake the external (and internal) voices telling us what we should be doing. As I eased my way back into the online world of blogging and social media, I was faced with gurus telling me how I should be writing and writer friends publishing or chatting about their manuscript revisions. Since putting my book away, I felt a little out of step with my writing peers, even though I knew in my heart I was right where I needed to be for this moment. My love of writing is firmly embedded in my identity and was never a doubt. What was in question was the direction I wanted to go with my writing. What I learned through this process was that it was, well, a process. As Lora suggests, the death of one area always gives birth to a new area. And as Elizabeth encourages, change and growth are a natural part of the writing process. The more we write and allow ourselves to be revealed, the more likely we are to learn about ourselves, our writing, our hearts, and our souls. But to allow ourselves the time to look inward honestly, we need to ignore the expectations. Only then can we find our true purpose and begin to move forward. I started paying attention to the kinds of writing and reading that triggered my passions. Not surprisingly, I realized the majority of my reading involves nonfiction. Although I read fiction, it is not my first love. How had I missed this big clue? I’d spent a year and a half writing a book I probably would never read or buy! It was time to start playing with the style of writing I found invigorating. During my two month hiatus, I nurtured interests, like fun reading, hiking, baking, practicing my mandolin, and free writing—reminding me that joy in life will indeed feed my creative expression. I finally felt ready to take my writing to the world again. Since my timing converged with the start of the new year, it was just the right incentive to think about looking forward. I decided to make 2013 the Year of Yes. If an interesting project presented itself, I would seize the opportunity. I explored the Internet. There were lots of blogs calling for articles or columns. I even snagged an opportunity to write a short monthly travel post, a long-held dream of mine. No past experience goes to waste when it comes to exploring new writing opportunities. For years, I worked as a career counselor in higher education. We often told the students that every job, no matter how small or menial, had valuable transferrable skills that could be applied to a career later. I found trying new challenges and meeting with other writers invigorating. Instead of feeling at a loss or like a failure about the manuscript that remained stashed in my drawer, I found a renewed hope and love of writing and new subjects to explore. And perhaps not coincidentally, as I looked out and forward, doors started opening. Writing is exciting again. 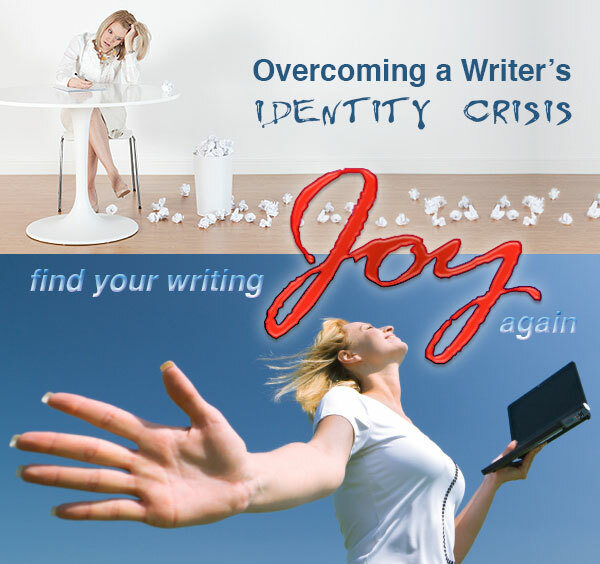 Alissa Johanson, Lora Freeman Williams, and Elizabeth Ayres offer practical tips to jump-start the writing juices and reinvigorate a tired and weary writing soul. Try pictures—cut out pictures from a magazine that represent the feel of a story you want to write or look like the characters or setting you are trying to create. Write with your non-dominant hand. It is an extremely effective way to tap into that other self that’s trying to emerge. Join a group to find support. Check out Meetup.com for local writers/creative groups that are free or inexpensive. LinkedIn also has many writing-focused groups, such as The Freelance Writers’ Connection, which Lora runs. Be aware of your physical health. If focus is waning in multiple areas of life, not just the writing, then it might be time to look at areas like eating, sleeping, exercise, and hydration. Try free writing in longhand. The act of moving the hand across the page, pen across paper, can teach you to connect with your thoughts and feelings. Replenish your energy with other things besides writing. Go outside and play or exercise. Try a hike or go to a museum. 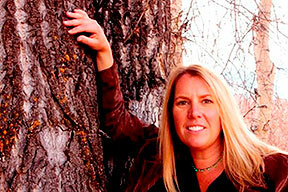 Julie Luek is a freelance writer living in the mountains of Colorado. 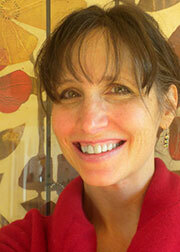 She holds an MA in education with an emphasis in counseling. Julie is published in regional and national magazines and is a biweekly contributor to She Writes and a monthly contributor to the blog, Chiseled in Rock. 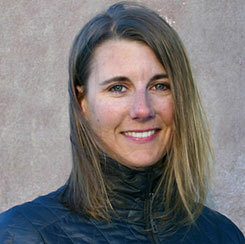 She is the author of two blogs, In Fine Company and A Thought Grows. Julie is still on the quest to discover her calling, but knows her heart has found its home in the words on the page. 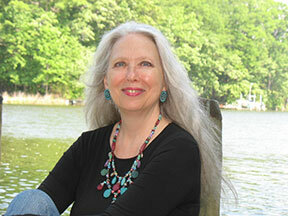 Copyright © 2013 wow-womenonwriting.com All rights reserved.